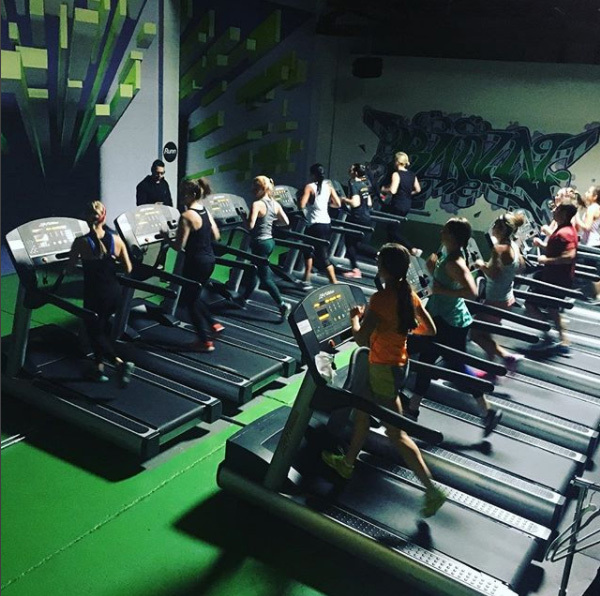 In August 2017, Chicago Run was introduced to Runn Chicago, a fun new indoor treadmill gym in the Elston corridor, when we partnered with them for their Grand Opening “Treadmill Relay”. Keith Kimble, the owner of Runn Chicago approached Chicago Run because he was adamant that he wanted his studio to not only provide a novel fitness concept, but also to support the community. When we talked about why Runn Chicago and Chicago Run should partner, it seemed to be a natural fit given our shared emphasis on helping Chicagoans to build healthy habits (something that Keith admits he found later in life and wishes he had started when he was young). The event was such a huge success engaging more than 100 runners from novice to elite marathoners, who collectively ran over 125 miles. Keith and Runn Chicago generously donated $5 for each mile, raising over $600 to support Chicago Run’s programs! Runn Chicago is the perfect workout alternative for those who are looking to keep up with their New Year’s Resolutions while avoiding the unforgiving winter season. Runn Chicago classes are dynamic 30 to 45-minute indoor, treadmill-based workouts, incorporating both hills and flat ground courses, that will be sure to make you work up a sweat. At Chicago Run, we believe that fitness should be fun for everyone, no matter your speed or skill level, and Runn Chicago does an amazing job of doing just that! With the great success of the Grand Opening Event, Chicago Run is excited to continue to partner with Runn Chicago. On Thursday, February 22, Chicago Run’s Next Generation Board will be hosting its Winter Refuel: Runn-a-thon & Happy Hour at Runn Chicago. The event will include a Runn-a-thon, where teams of up to 4 can compete for prizes, and challenge each other through “hurdles,” while raising money and awareness to support Chicago Run’s programs. With less than 2 weeks to go until the event, we have already sold out our first two timeslots, and so have added another Runn at 8 PM. Team and individual sign ups, as well as non-runner tickets are still available at www.chicagorun.org/refuel. We would love for you to join us to see Runn Chicago firsthand and support Chicago Run children and youth!